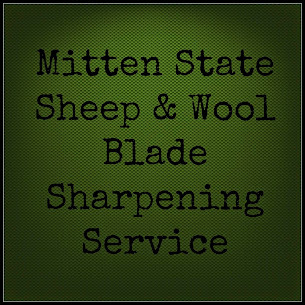 Mitten State Sheep & Wool : HomeAcre Hop #55 and Giveaway! Of Our Anniversary Giveaway Extravaganza! The HomeAcre Hop Turned One and We Want to Celebrate! This week we continue a full month of giveaways and we want you to join the party! Help us celebrate by sharing your homesteading, homeschooling, and homemaking posts on The HomeAcre Hop. Don't have a blog, don't worry! You are welcome to enter our giveaway in the handy entry form below for your chance to win two great prizes this week! Our Sponsors ~ Our Prizes! Jenny from Black Fox Homestead is sponsoring the giveaway this week with a $25 Etsy Gift Card, redeemable at any Etsy shop you like! Please stop by and Favorite the Black Fox Homestead Etsy Shop, for one of your entry options! Mary from Homegrown on the Hill is sponsoring the giveaway this week with a copy of The Year-Round Vegetable Gardener! Stop by and subscribe to her blog for one of your entry options! Making Bacon and How to Cure Your Own From Seven Springs Homestead. Congrats on your 1 year party anniversary! Thanks for hosting such a wonderful party each week. We always enjoy it. I have to say that every time I see your header photos of the sheep it just makes me smile.